Reading those, the local SEO sets aside sweet dreams of sopapillas because he very much doubts the accuracy of that last review comment. Are all customers really following this restaurant from place to place, or are visitors (with money to spend) being misdirected to false locations via outdated, inconsistent, and duplicate listings? A total of 2 different names, 3 different phone numbers, and 4 different addresses! 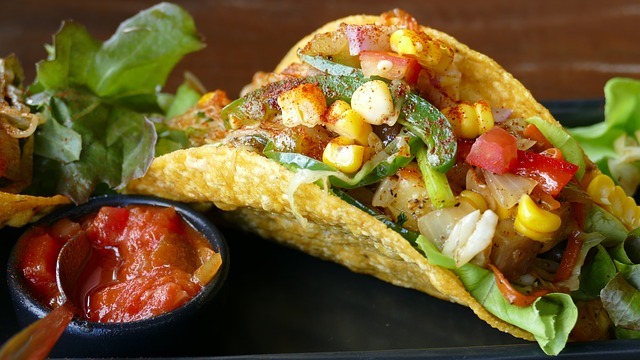 In 5 seconds, the local SEO has realized that business listings around the web are likely misdirecting diners left and right, undoubtedly depriving the restaurant of revenue as locals fail to keep up with the inconvenient moves or travelers simply never find the right place at all. Sadly, two of those phone numbers return an out-of-service message, further lessening the chances that patrons will get to enjoy this establishment’s celebrated food. Where is all this bad data coming from? 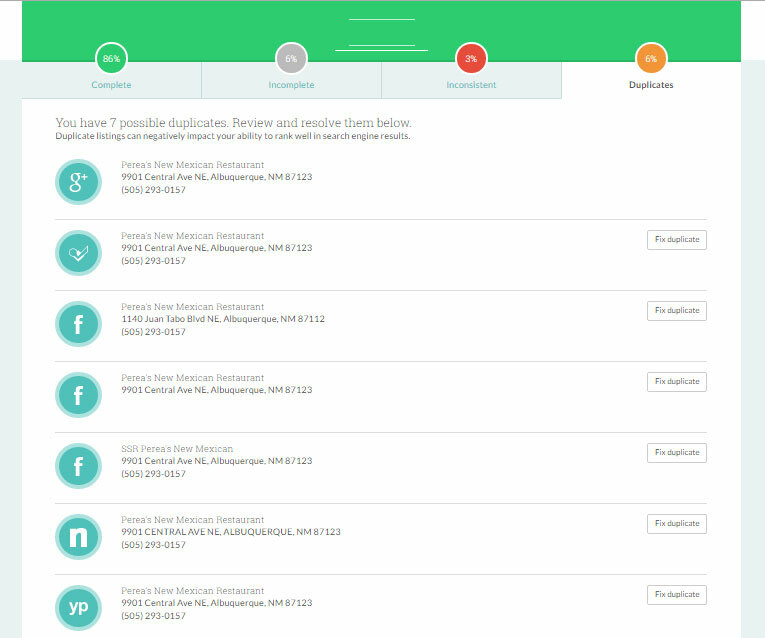 From this simple Duplicates interface, you can immediately see that 1 Google My Business listing, 1 Foursquare listing, 3 Facebook Places, 1 Neustar Localeze listing, and 1 YP listing bear further investigation. Clicking the icons takes you right to the sources. You’ve got your clues now, and only need to solve your case. Interested? The paid version of Moz Local supports your additions of multiple variants of the names, addresses, and phone numbers of clients to help surface further duplicates. Finally, your Moz Local dashboard also enables you to request closure of duplicates on our Direct Network partners. What a relief! Chances are, most of your clients don’t move locations every couple of years (at least, we hope not! ), but should an incoming client alert you to a move they’ve made in the past decade or so, it’s likely that a footprint of their old location still exists on the web. Even if they haven’t moved, they may have changed phone numbers or rebranded, and instead of editing their existing listings to reflect these core data changes, they may have ended up with duplicate listings that are then auto-replicating themselves throughout the ecosystem. Google and local SEOs share a common emotion about duplicate listings: both feel uneasy about inconsistent data they can’t trust, knowing the potential to misdirect and frustrate human users. Feeling unsettled about duplicates for an incoming client today? 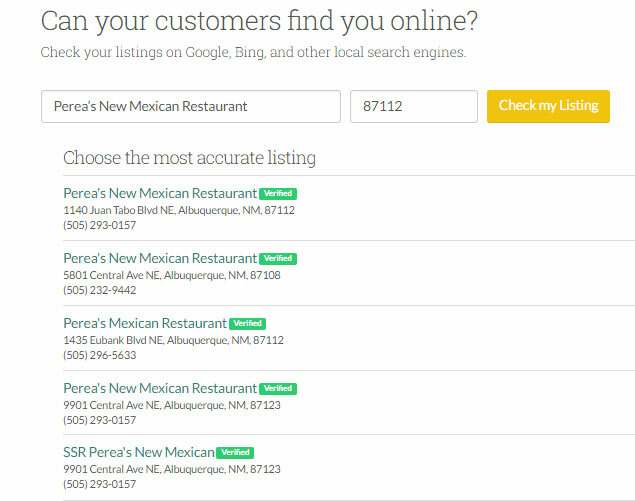 Get your appetite back for powerful local SEO with our free Check Listing tool!